producing the best Murrah Germplasm and Indigenous cattle. Animals per annum to the State Animal Husbandry Departments, Govt. 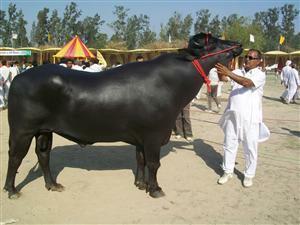 improvement of Murrah Buffaloes and Indigenous Cattle.